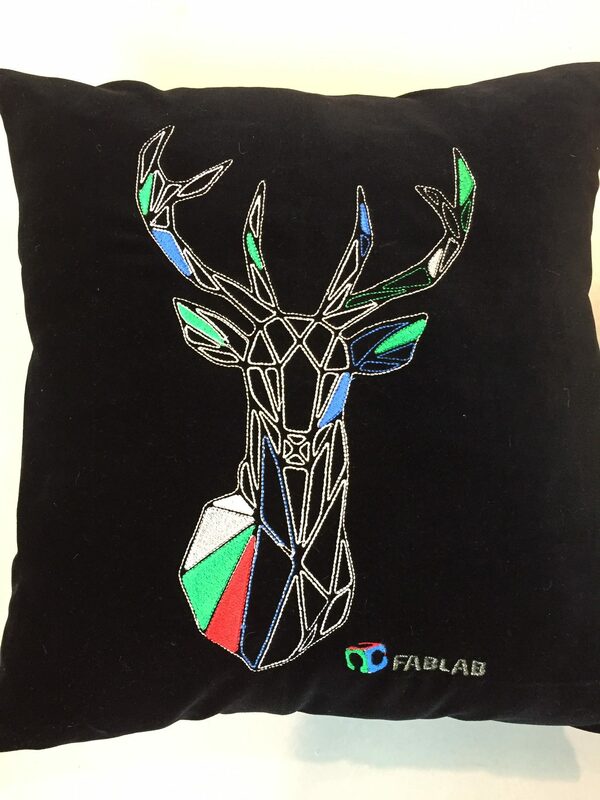 Lisa made this fabulous embroidered pillow for the FabLab. The Brother PR 600 embroidery machine is a digitally controlled embroidery machine. A design can be embroidered on a textile from a bitmap file. Do you want to learn more about this technique or machine? Stop by during the textile walk-in afternoons on thursday!